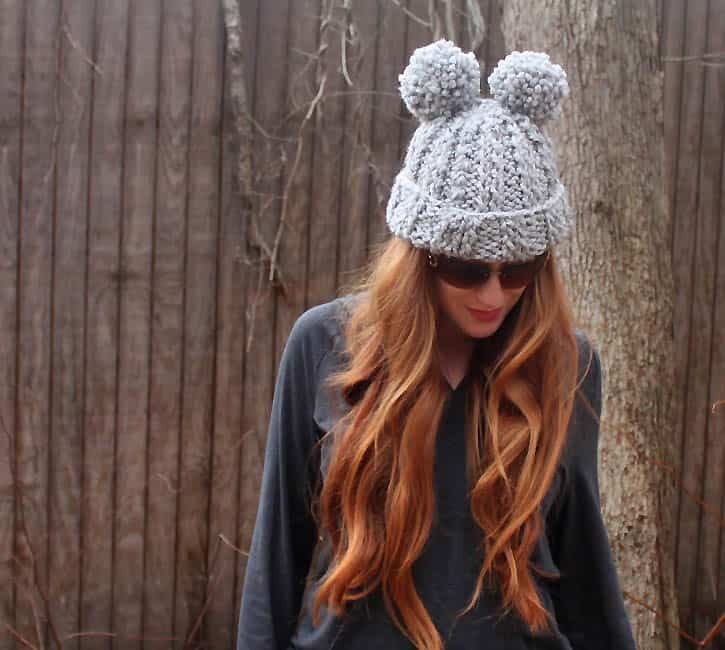 I’m a big fan of Eugenia Kim’s knitwear and I thought this Mimi Pom Pom hat was totally adorable! 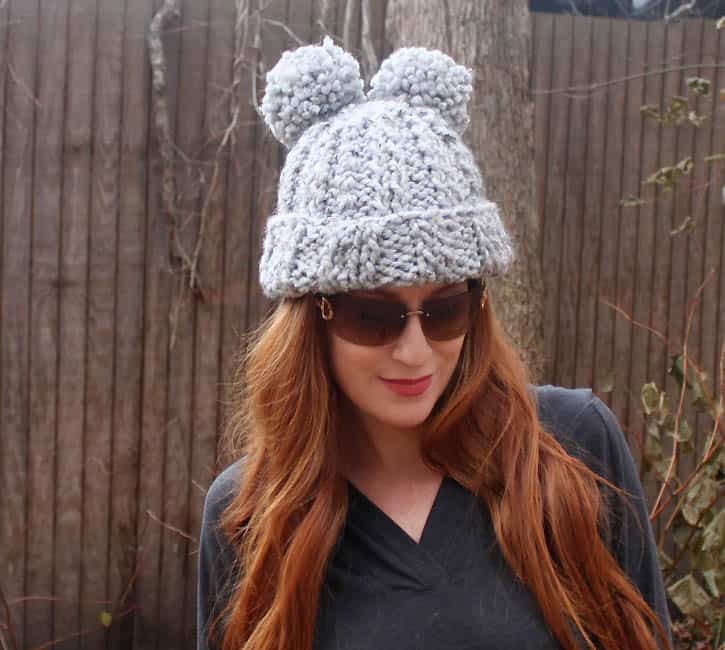 The bulky yarn and large needles make it a quick knit. Row 31: *K1, k2tog; rep from * across row Cut yarn, leaving an 8 in. tail. Thread tail through stitches of last row and pull to secure. Use the tail to sew the side seam together. Make 2 pom poms and attach them at either side of the crown.